Although Ubisoft is better-known for its renowned franchises such as Assassin’s Creed and Far Cry, the French video game company has also released new video game brands in the last few years such as 2016’s wildly popular The Division. And now the company is looking to win big this year with Skull and Bones, a new video game inspired by 2013’s Assassin’s Creed IV: Black Flag. 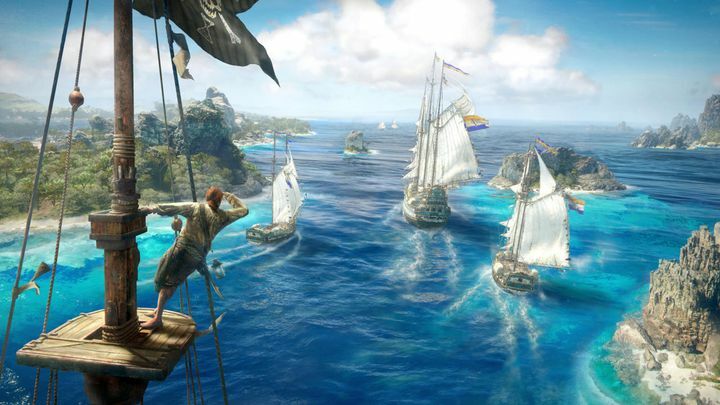 Those who played Black Flag likely remember the naval battles being that game’s high point, the intense battles at sea and getting to board and plunder enemy ships for treasure turning that Assassin’s Creed game into the perfect pirate fantasy for many. But now the team at Ubisoft Singapore, which was behind the much-loved naval battles in 2013’s Black Flag, is looking to expand on the “pirate fantasy” theme of Black Flag and deliver a new game focused exclusively on the pirate-y activities of that Assassin’s Creed game. In an interview with GameSpot, Ubisoft Singapore managing director Olivier de Rotalier said that “after Assassin’s Creed IV: Black Flag, [we wanted] to stay in the pirate fantasy and to make it bigger and stronger”. The Ubisoft managing director also added that Ubisoft has high expectations regarding Skull & Bones, and plans to support the new franchise for as many as 15 years. “We are building a game that we want to support in the long term, that relies on strong mechanics; RPG, online”, said de Rotalier. The Ubisoft man also said he believes Skull & Bones core gameplay will be able to keep players engaged in the long run, stating that “we have a plan to make it last”. It is clear, then, that Ubisoft has much faith in Skull & Bones, a game that will be hitting shelves in 2018. But if you want to get an early taste of what Ubisoft’s pirate game has to offer you can sign up for the beta here and get to enjoy Skull & Bones before it’s released next year.